World War II was one of the most devastating wars in the history of mankind and took place between 1939 and 1945. During this time, two opposing millitary alliances were formed: the Axis and the Allies and over 100 million people from more than 30 countries were involved in this global war. 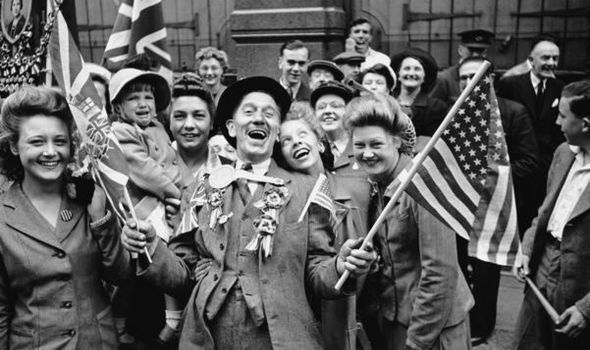 Although the end of the war was celebrated earlier already with people dancing in the streets, it was only officially over on September 2, 1945. WW2 ended with the unconditional surrender of the Axis forces. The Germans first surrendered on 29 April 1945 in Italy after Hitler’s death and total, unconditional surrender was signed on the 7th of May. By the 8th of May, Winston Churchill announced that the War had come to an end in Europe by announcing Victory in Europe, a date that is still celebrated today. While people were celebrating in Europe, however, Japan still kept fighting. The atomic bombs that were dropped on Hiroshima and Nagasaki, respectively on the 6th and the 9th of August, however forced the Japanese Emperor to also surrender. This surrender happened on the 15th of August, but the surrender documents were only signed on 2 September 1945, on the deck of the USS Missouri, officially marking the end of the war. A larger and more complex answer to the question of the end of World War Two is determining when the world order that governed global affairs came to a close. One issue that stands out is colonialism. Prior to the Second World War, European powers controlled most of the surface of planet earth. World War Two triggered independence movements throughout the third world, but much of Africa and southeast Asia did not gain formal independence until the 1960s. This legacy of the pre-World War Two era, along with many others, did not formally end until decades after VE Day.